Clive Staples Lewis was born on 29 November 1898 and lived until 22 November 1963. He was born in Belfast, North Ireland into a Protestant Ulster family. Throughout his life, he retained strong roots to Ireland. 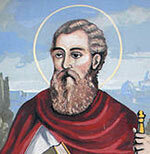 He sought out the company of the Irish and took an active interest in Celtic literature and myths. He was a keen admirer of the works of W.B.Yeats, at a time when he was relatively unknown in England. Lewis was educated at a variety of private tuition and public schools such as Malvern in Worcestershire. His time in public school was not particularly happy, and he later wrote in disparaging times of how schoolboys were mistreated. However, in 1916, Lewis was offered a scholarship at University College, Oxford University. He proved an excellent student, ultimately, gaining a triple first (the top classification in three different degrees). In 1917, his university life was interrupted as he volunteered to join the British army in the First World War. He was transferred to the Somme valley where he took part in trench warfare. In the last months of the war, he was injured by a shell and was sent home to recuperate from his injuries. During his period of convalescence, he became increasingly friendly with Mrs Moore – the mother of a close army friend Edward ‘Paddy’ Moore. He remained very close to Mrs Moore, often referring to her as his mother until her death in the 1940s. C.S.Lewis became an influential apologist for Christianity through publications such as the “Screwtape Letters”. He concentrated on a more universal form of Christianity seeking to avoid the sectarianism that was common in his native Northern Ireland. He rarely made any specific reference to a particular denomination of Christianity but sought to reinforce the underlying Christian values shared by all Christian faiths. However, he always remained an Anglican and, to the disappointment of Tolkien, he never converted to Roman Catholicism. His Christian beliefs also influenced his more popular works such as the “Chronicles of Narnia”. Though he also includes ideas of Roman and Celtic myths, there are underlying Christian notions of sacrifice and Christ-like actions. Lewis began writing The Lion, the Witch and the Wardrobe during the Second World War. He was partly inspired by three evacuee children who came to stay in his home in Risinghurst (a suburb of Oxford). Lewis said the experience of the evacuee children gave him a new perspective on the joy of childhood. Lewis also remarked he had had an image of a Faun since he was about 16. The seven book in the series were published one per year from 1950 to 1956. They soon became a publishing success and have become a very influentials genre of children’s books. 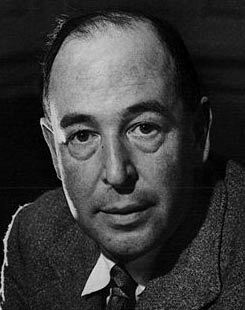 C.S.Lewis died a few years later in 1963 from renal failure. His death occurred on the same date as the assassination of J.F. Kennedy. Since his death, his books and influence have continued to grow. He has been rated as one of the top English writers of all time and his books have been translated into numerous languages. Citation: Pettinger, Tejvan. “Biography of C.S. Lewis”, Oxford, UK. www.biographyonline.net, 25th Sep 2009. Last updated 12 January 2018. An interesting biography. An apologist that was not siding with any christian sect still puzzles me. Thank You C. S. Lewis, Very Cool! I read Shadowlands. I also read his book. TILL WE HAVE FACES It is considered his masterpiece. Thanks — very interesting. A remarkable man.